All of the energy you spend each spring to create that perfect green lawn could be used to plant the seeds for a lower energy bill. A well-designed landscape can provide cooling shade around your home that reduces the need for air conditioning. 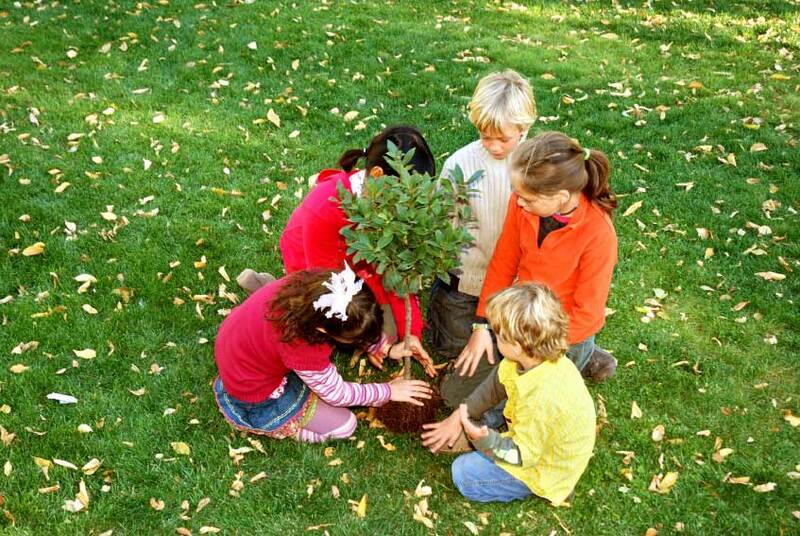 Plant leafy trees on the south and west sides of your home to provide shade on hot summer days. The leaves will fall off in the autumn and allow warm summer sunlight to help heat your home during winter. Plant shrubs and ground cover around your house to help reduce heat buildup. Place evergreen trees on the north and northwest sides of your home to provide year-round windbreaks from outside air. Before you begin your landscaping project, call 811 to have underground utility lines marked. Knowing the location of underground utility lines on your property will help you avoid injury, service outages, and costly repairs. For more information, see Landscaping for Energy-Efficient Homes from the U.S. Department of Energy.